Dr. Eli Rachlin grew up in Toronto, Canada. He graduated Dental School in 1996 from the University of Toronto, and was awarded the prestigious Student Leadership Award due to his volunteer work with special-needs children and children with life-threatening illnesses. He moved to New York so that he could complete a Fellowship in Advanced Dentistry at Columbia University. Dr. Rachlin then completed residency in Hospital Dentistry at Montefiore Medical Center and Jacobi Hospital, and completed his specialty training in Pediatric Dentistry at Montefiore Medical Center. Dr. Rachlin regularly attends Continuing Education courses to stay current on the latest science and techniques in the field of Pediatric Dentistry, and to ensure that his patients receive the best dental care possible. 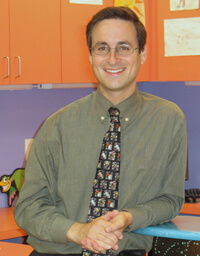 Dr. Rachlin, or "Dr. Eli", as he is known, is renowned for his gentle and easy-going manner with children of all ages. His warm, friendly manner puts even the most anxious child at ease. "I knew I wanted to focus my career on helping kids smile before I realized that I would do so through the practice of dentistry -- actually helping their smiles!" jokes Dr. Eli. In 2007, Dr. Rachlin's vision of the optimal pediatric dental experience was realized, with the opening of Chestnut Ridge Pediatric Dental. From the 'boat at sea' in the reception area, to the fluffy clouds over the front desk and in the hallways, the brightly-colored sunny facility is a reflection of Dr. Eli's approach to dentistry. It is state-of-the-art and child-centered, but most of all, FUN. By combining a fun environment for your child, the best techniques and materials that modern dentistry has to offer, and a personalized approach (with an emphasis on prevention), Dr. Eli hopes to make every dental visit an enjoyable experience for your child. 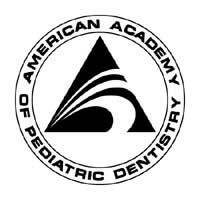 Dr. Rachlin is a Board-Certified Diplomate of the American Board of Pediatric Dentistry. He is also a Fellow of the American Academy of Pediatric Dentistry, and an active member of the American Dental Association and the New Jersey Dental Association. Dr. Rachlin enjoys spending time with his family. He and his wife, Gila, are the proud parents of two girls and two boys.